Our complete fuel solutions cover everything from simple fuel supply, to a fully managed service. If you use fuel on-site, Speedy has a range of services to help you run more safely and economically. Speedy is the only UK plant hire company with its own fully integrated fuel division. 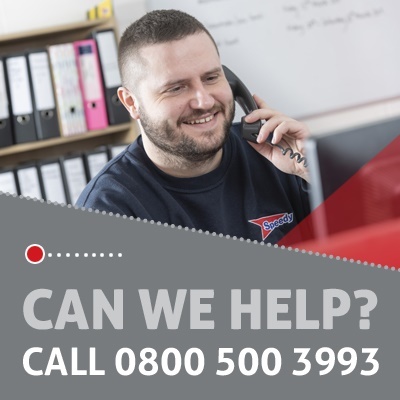 We’ll provide a solution to suit you – whether you want a straightforward, competitive fuel supply or a fully managed service that can help you reduce consumption, minimise deliveries, and reduce cost overall. Control your fuel costs with Speedy’s dedicated fuel services making every last drop of fuel go further. With generators, pumps and plant drawing on your fuel resources, you need to know you’re getting the best value and support from your fuel partner. That’s exactly what Speedy provides. Our wide range of supply and management services give you ultimate control over fuel costs, uplift and monitoring, while our partnership with the largest supplier and distributor in the UK, guarantees fuel availability wherever you need it. Whether you need one-off spot deliveries or an fPod® – our fully automated, on-site refuelling terminal – ensures you can trust Speedy’s Fuel Services team to help you get the very most out of every last drop. At Speedy, we constantly monitor fuel prices and use our buying power, as one of the industry’s largest fuel service providers, to secure the best deals possible for our customers. The most competitive price available for your fuel supplies, based on day to day market prices. The average weekly fuel price established by platts. com, the international fuel and power market monitor. Fixed weekly prices based on the average of the prior week, giving you both transparency and consistency. By allowing you to agree a single, competitive price for all your fuel for the duration of your contract, fixed pricing provides accuracy and peace of mind in your fuel budget planning.